Your loyal customers should have a direct, easy path to request new jobs from your team. With mHelpDesk Online Booking, customers can select a service you provide, choose a preferred staff member and select an available appointment time! Step 1. Start off by choosing Services you’d like to be available to book online. Step 2. Choose your staff member and select their availability on the calendar on the right side. Step 3. Test it out for yourself! 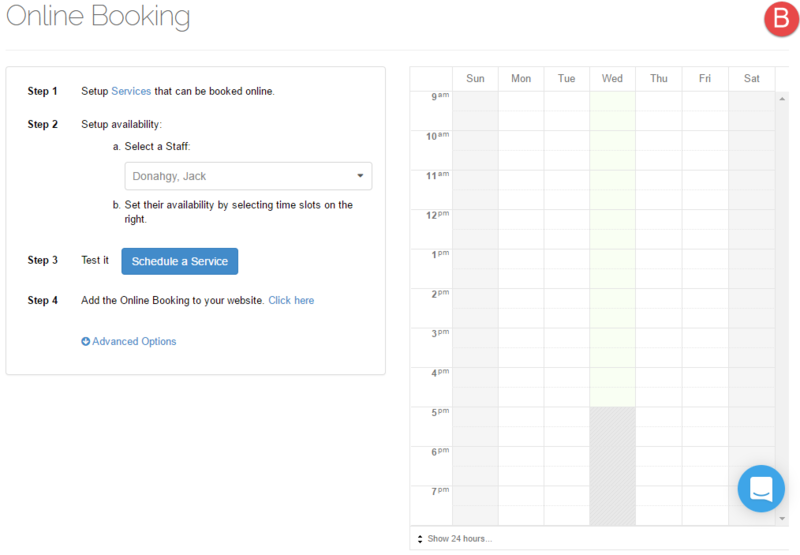 Book an appointment to see how your customers will experience the the online booking process. 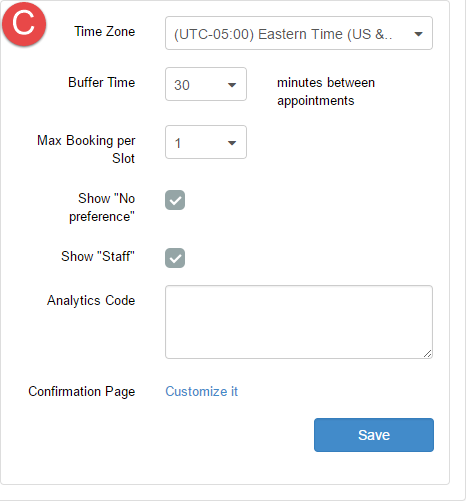 You can specify the timezone that your business operates in, set up a buffer time between appointments that are scheduled, max bookings per slot, choose if you would like your customer to be able to choose staff, and if you would like to add in "No Preference" if there isn’t a particular staff member that they would like to schedule. Click Save (Screenshot C) and that's it! 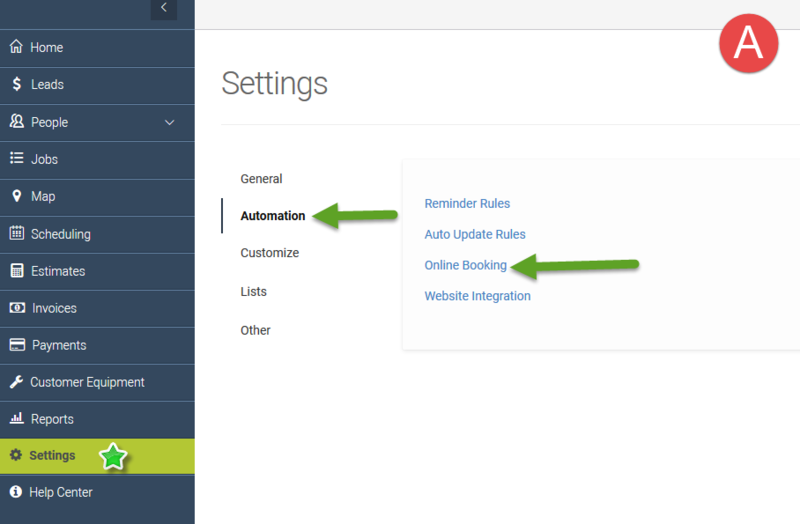 Now your customers can book appointments for days and times that work best for them and your company!